Rarely is an artist so closely associated with a single work as is Jay DeFeo with her monumental painting The Rose. Begun in the late 1950s, when DeFeo, a central figure of the Beat generation of San Francisco, was just starting to garner widespread national recognition, the visionary work occupied the artist for eight years. Massive in scale, layered with nearly two thousand pounds of paint, the overpowering painting was already famous before its first exhibition in 1969 at the Pasadena Art Museum. It was next exhibited in San Francisco, then stored at the San Francisco Art Institute, where it languished for twenty-five years before a historic conservation restored it to public view. The Rose now resides in the collection of the Whitney Museum of American Art. 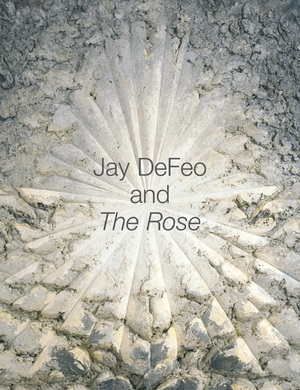 This volume is the first major study of The Rose in particular and of Jay DeFeo in general. In the collection, eleven distinguished art and cultural historians—Bill Berkson, Niccolo Caldararo, Richard Cándida Smith, Walter Hopps, Lucy R. Lippard, Greil Marcus, Sandra S. Phillips, Marla Prather, Carter Ratcliff, David A. Ross, and Martha Sherrill—unfold the story of the creation, as well as the tricky and painstaking rescue, of DeFeo’s radiant masterpiece. 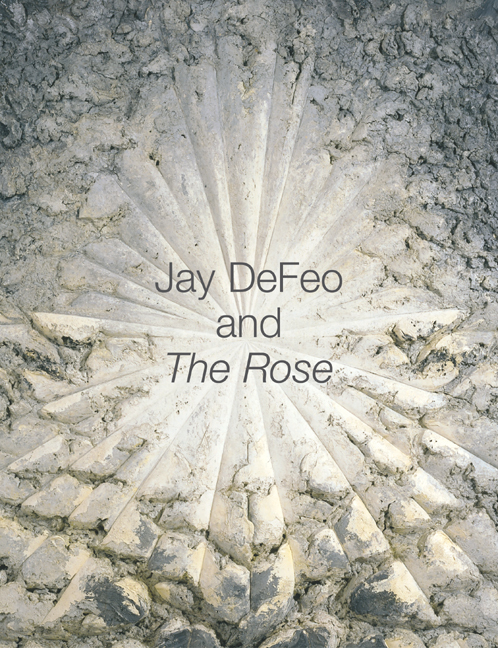 While providing new material on The Rose and exposing many myths surrounding both the artist and her great work, these essays also place Jay DeFeo in relation to artists of her time, including Jasper Johns, Robert Rauschenberg, Lee Bontecou, and Eva Hesse. The book, which adds significantly to the scholarship of postwar American art, includes nearly eighty halftones, thirteen color plates, and Judith Dunham’s detailed Rose-related chronology. Jane Green is an art historian and has worked on exhibitions at Mills College Art Museum and the Berkeley Art Museum, two institutions associated with DeFeo. Leah Levy is an independent curator and trustee of the Estate of Jay DeFeo. She worked directly with DeFeo as curatorial consultant from 1985 until the artist’s death in 1989, and organized the conservation of The Rose. She is author of Kathryn Gustafson: Sculpting the Land (1998) and guest curator of Revelatory Landscapes (2001) at the San Francisco Museum of Modern Art. Think of Jay DeFeo Dancing to Count Basie Playing "One O’clock Jump"